Past research indicated that unwed parents, or those who had their children before they get married had a much higher risk of divorce. That, however, no longer seems to hold true. According to new research, parents who had their children before marriage were not necessarily at a higher risk of divorce, compared to parents who waited till they got married to have children. This is where a Leadville family law firm can help. According to the researchers, family structures have changed over the years, and as a result, having children before marriage is no longer the divorce risk that it was earlier. In fact, the number of couples who choose to have their children before getting married has been increasing steadily, as women become more independent, and as the nature of the modern relationship changes. Women are under less pressure to marry before they have children, and these changes have ensured that couples actually have a lot of time to prepare themselves mentally for marriage, before they decide to take the plunge. 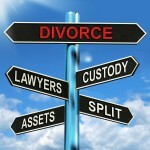 For help filing for divorce, talk to a Leadville family lawyer. According to the researchers, the data seems to indicate that many couples choose to wait to get married, not because they do not want to get married, but because of a number of other factors, like timing. These couples have established relationships however, and are definitely considering marriage. Earlier, divorce rates were much higher among couples who had children before marriage. They were found to be 60% more likely to get a divorce, compared to couples who had children after the marriage. However, the researchers compared data from between 1985 and 1995, with data from between 2006 and 2010, and found that in the latter period of time, women who happened to have their kids before marriage were less likely to get divorced, compared to the earlier period. If you are considering divorce and want to know how divorce will affect your finances and other aspects of your life, speak to a Leadville family lawyer.